An Indian movie about two sisters has become a huge hit in China. 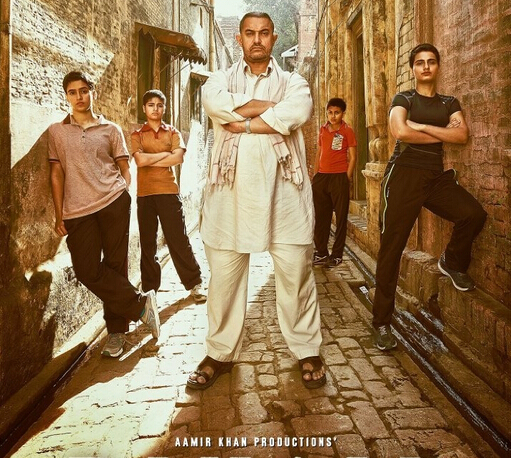 The Hindi language film, called "Dangal," has earned almost $170 million in China since its release there on May 5. It is the highest grossing non-Hollywood foreign film released in China. China is the world's second-largest movie market after the United States. But it imports very few foreign films that do not come from U.S. production companies. Much has been written about why "Dangal" has enjoyed such big success in China. Critics say one reason is the film's star and producer, Aamir Khan. He is famous in India's Bollywood film industry. Two of his earlier films were also big hits in China. Khan's popularity was clear after he got more than 600,000 followers on the Chinese social media service Sina Weibo within two months of joining. But he is not the only reason the film strongly connects with moviegoers across China. Media observers and social media posts have noted how it shows similarities between patriarchal systems in China and India. It also deals with issues related to the treatment of girls and women. Dangal is based on the true story of a man who enjoyed the sport of wrestling. He competed as a wrestler, but never could achieve his lifelong dream: winning a gold medal. As a father, he wanted his son to win the medal. But his wife only gives birth to daughters. So he eventually decides to train them to be world-class wrestlers. The movie is more serious than many Bollywood productions. Most tell happy love stories and include colorful music and dance performances. Edward Chan is a professor of sociology at the Hong Kong Polytechnic University. He says the strict approach to parenting in the film is something people in China can easily relate to. "I think the father role portrayed by the movie in India is quite similar to the culture, especially the traditional culture in China." Tansen Sen, a professor at the City University of New York, agrees. He said the film's parent-child issues are well understood in China, along with the interest in sports. China's Xinhua news agency said the film's messages about gender roles and education reforms had "struck a chord with many Chinese parents." Aamir Khan told a magazine he never imagined the movie would be such a big success in China. "They have embraced a film with a different language, from a different country and it has connected to them, emotionally. Creative fields don't have any barriers." The Chinese government-supported Global Times newspaper noted that some movie critics in China did not like "Dangal". Most of the criticism was tied to the fact that the father in the film was forceful in pushing his daughters to become wrestlers. The newspaper said the film also led to debates over feminism in China; specifically, whether modern day girls should completely reject the values of a patriarchal society. Until now, horror movies have occupied a large part of the movie market. To feminists she is a classic victim of the patriarchal society. He has been banging on about education reform for years. Traditional culture and technology is incompatible. 1.China's Xinhua news agency said the film's messages about gender roles and education reforms had "struck a chord with many Chinese parents." That's really struck a chord with me, my man. Her idea has struck a chord with Chinese youths. 2.He said the film's parent-child issues are well understood in China, along with the interest in sports. The word is certainly used frequently in everyday conversation and seems to be well understood by those using it. That we are in the midst of crisis is now well understood.